Share the post "Four Dark Secrets of Income Driven Repayment"
But it’s not all sunshine and roses. There are some potentially serious drawbacks to income-driven repayment, and borrowers considering these plans should be aware of them. Because income-driven repayment plans use a formula tied to the borrower’s income and family size, there is no requirement that monthly payments cover all the interest that accrues on a monthly basis. That can be a good thing, if you can’t actually afford to pay all that interest but need to keep the loan in good standing and on track for loan forgiveness. But the downside is that because of interest accrual, your loan balance may actually increase over time, even as you make regular monthly payments. This is called “negative amortization.” It can be disconcerting to watch your balance grow while you pay. And it can be a real problem if your income increases substantially later on, or you want to switch to a plan that pays off your loans entirely – you may owe a lot more than what you started with. Current law requires that borrowers on income-driven repayment plans must affirmatively renew their plans every year by submitting new income documentation. This process is called “recertification.” In theory, this process is supposed to be easy and straightforward, but it often is not. Servicers are supposed to remind borrowers when it’s time to renew, but they don’t always do a great job. Borrowers who do renew on time may be tripped up by innocent mistakes on their applications. And even when borrowers do everything right, a servicer error could result in a delay. Regardless of the underlying reasons, failure to recertify on time for an income-driven plan can result in the borrower’s monthly payments increasing substantially, and any outstanding interest may be “capitalized” – meaning it gets added to the principal balance, causing more interest to accrue over time. The loan forgiveness safety net provided by income-driven repayment plans is critical, as some borrowers may never earn enough income to repay their entire loan balance in full. To be clear, many of these borrowers will actually repay more than they originally borrowed (sometimes substantially more) – but because of interest accrual, there will still be an outstanding balance at the end of the repayment term. Loan forgiveness cancels this out. But current law requires that cancelled debt be treated as “taxable income” for the borrower – and if it’s a fairly large balance that gets forgiven, the borrower may be hit by a substantial tax bill. There are some exceptions to this rule – for example, borrowers who are insolvent or get their loans forgiven under the Public Service Loan Forgiveness program may not be taxed. But borrowers should be aware of the potential tax consequences. Getting married can make things complicated for income-driven repayment plans. All of the income-driven plans will factor in joint spousal income for married couples when the couples file taxes jointly. This may result in a substantial increase in monthly payments for some borrowers. However, some (but not all) of the plans allow borrowers to exclude spousal income by filing taxes as “Married Filing Separately.” This has the effect of excluding the spouse’s income from consideration. But at the same time, filing as “Married Filing Separately” could have tax consequences which may reduce or even eliminate any student loan savings. 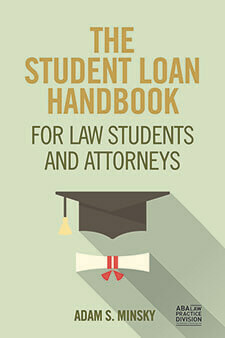 Married student loan borrowers should take the time to review their options and consult with a tax professional. 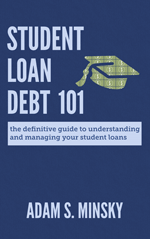 Income-driven repayment is a true lifesaver for millions of student loan borrowers. The above issues may certainly be downsides, but they don’t necessarily have to be deal breakers. 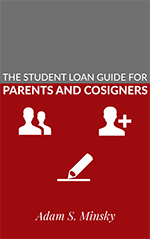 Student loan borrowers just need to thoroughly explore their options – and the pros and cons of each option – and make a fully informed decision about their repayment approach.